Click here to download the sponsorship form for print. 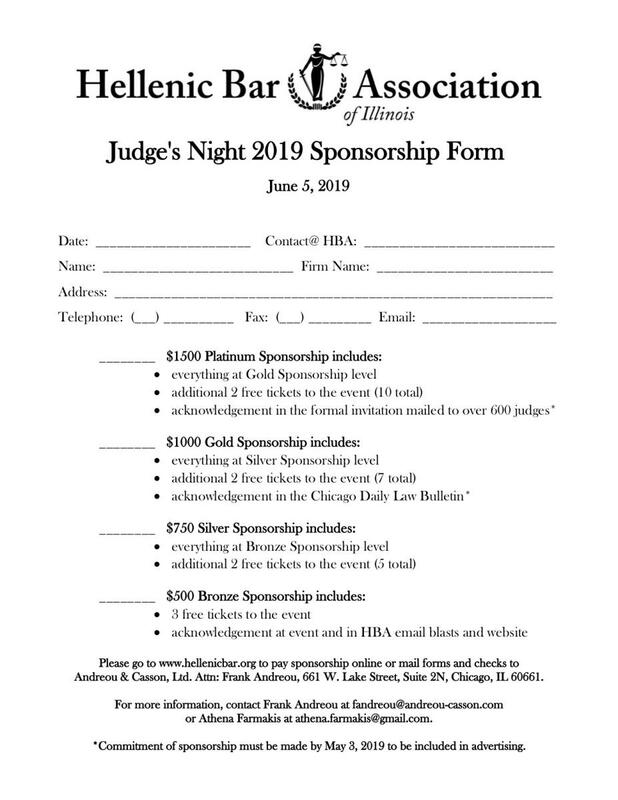 If you would like to pay by check, please make checks payable to the Hellenic Bar Association and mail to Andreou & Casson, Ltd. Attn: Frank Andreou, 661 W. Lake Street, Suite 2N, Chicago, IL 60661. For more information, contact Frank Andreou at fandreou@andreou-casson.com or Athena Farmakis at athena.farmakis@gmail.com. 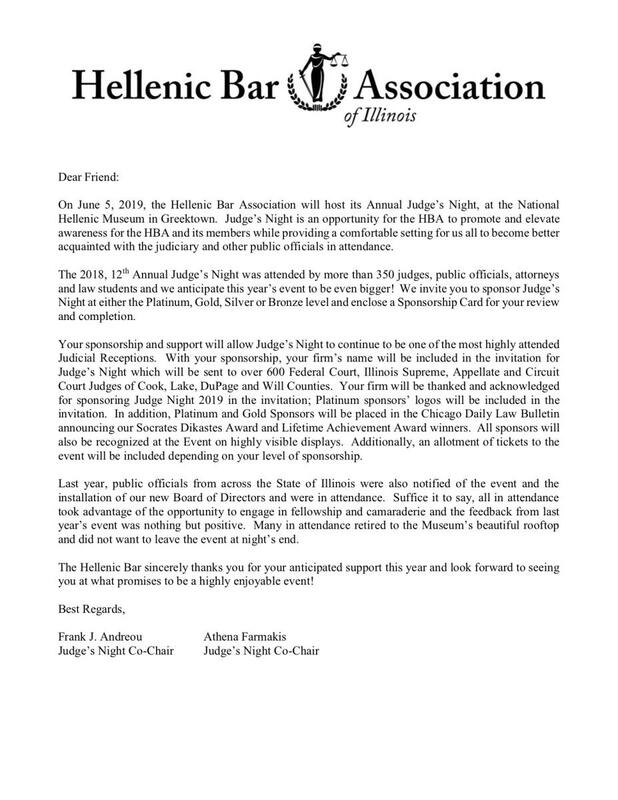 *Commitment of sponsorship must be made by May 3, 2019 to be included in advertising.